After about 3 months in a sandbox and a lot of time in photoshop as well as probably a few thousand lindens uploading upper and lower body textures. I found a fursona that I liked on SL which was a Gryphon. It was a powerful character to have, kinda commanding and as a result having an almost lecherous behavior about him (Just about everything that came out of his beak was perverse) In other words; A find and upstanding citizen of second life! The only thing I didn’t make which I tried repetitively and out of frustration was the wings which were freebie wings by Obunnywan Manimal and they were called “Obunny’s Black Feather Prim Wings”. Understand that this is 2005-2006 vintage second life. An era that did not really have much going on for sculpts or prims. Which is a reaon why things looked so blocky.. 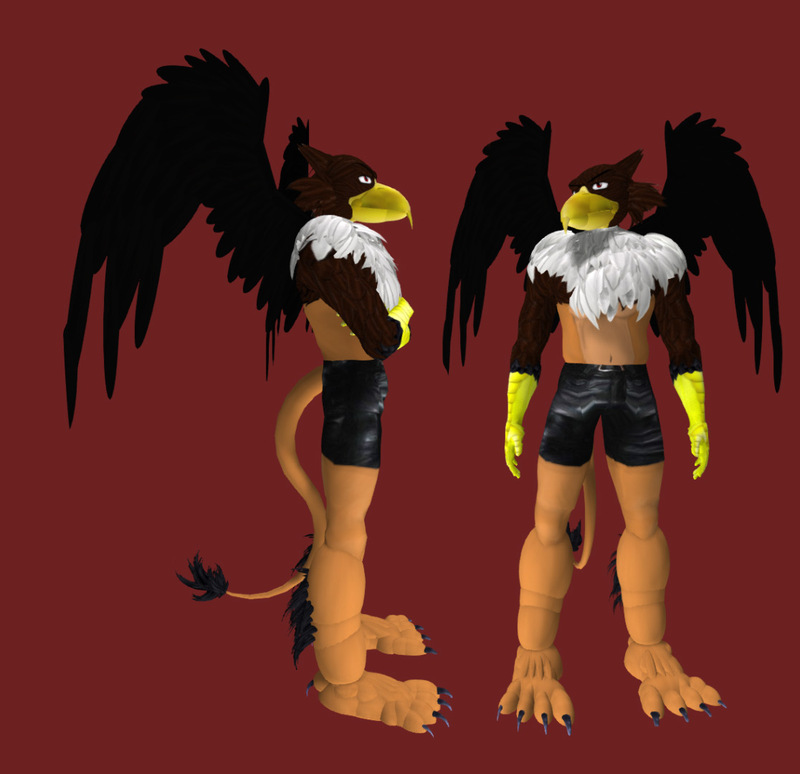 I still like the Gryphon avatar and perhaps someday i’ll go back an revisit my work and update it from version 1.0 prims to version 3.0 mesh, and finally add some wings to this avatar. Want to know more about Second life? Click here!